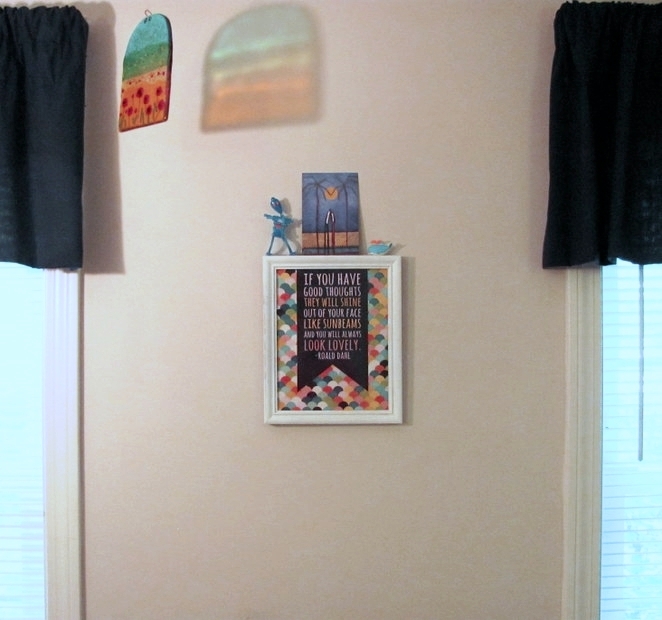 In September, Michael at Inspired by Charm posted a DIY Picture Ledge how-to, and it certainly was inspiring! 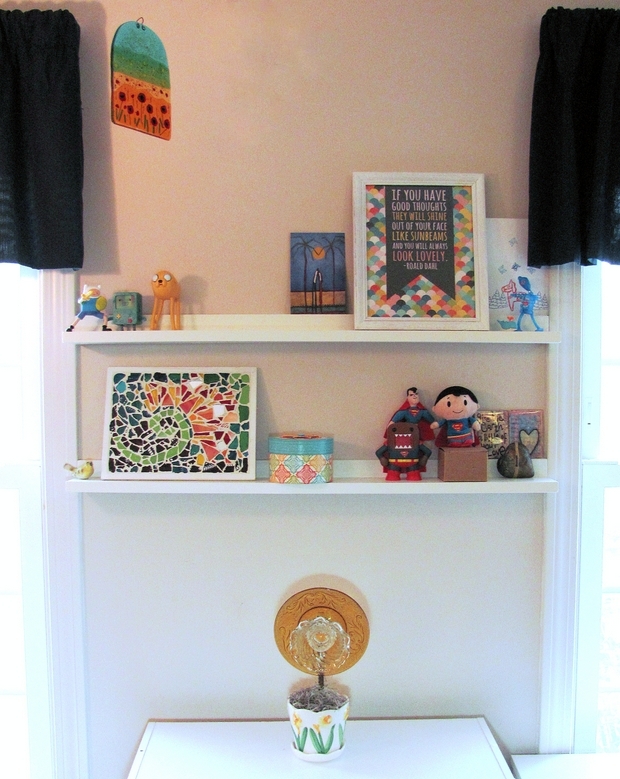 With his instructions, and the help of my friends, I was able to spruce up a sparse wall and find a home for the nick-knacks scattered about my space. The instructions for these DIY Shelves were straightforward, and they were constructed in a short time one afternoon. A friend measured and cut for me, then I sanded, painted & installed them a few days later. Two weeks in a row where I'm mentioning projects inspired by other bloggers. Have you made anything prompted by another website lately?